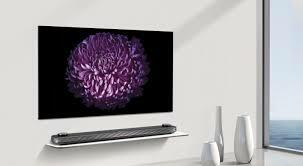 Our TV Stock – Here at UK TV Repair we have a lot of TV’s in for repair and have done for a majority of the time that the shop has been opened. We have all parts for the major TV manufacturers all over the world. Whether it’s a Song or a Samsung, we have it. Whatever problem you have with your TV, we can fix it. If it is a software problem we can get it done in roughly 2 days. That’s only 2 days! A short amount of time compared to other companies. If it’s a hardware problem, we have plenty of stock. We always stay topped up on our stock. Even if 1 part goes towards a repair. We will replace that part straight away replenishing our stock. This is why we don’t take too long to get your TV repaired. Whatever hardware problem it can be. We will be able to get your TV repaired and back to you with a maximum of 3 days. That’s 3 days! Are you a victim of a company who has promise a short turnover time but instead you’ve been waiting for days? Even weeks? You can trust us. We will deliver your TV back to you in a better condition than you gave us. And whilst we are at it, we clean the inside of your TV azwell boosting all performance and preventing it from overheating. If you need a repair call us on 0121 371 0011.